You would like to spend vacation on the Adriatic near the sea all the time? The only time you get off the shore is when you need to go to bed? Such vacation can come true in Opatija. “Lungomare”, which connects Opatija to Lovran, stretches 12km along the seashore. 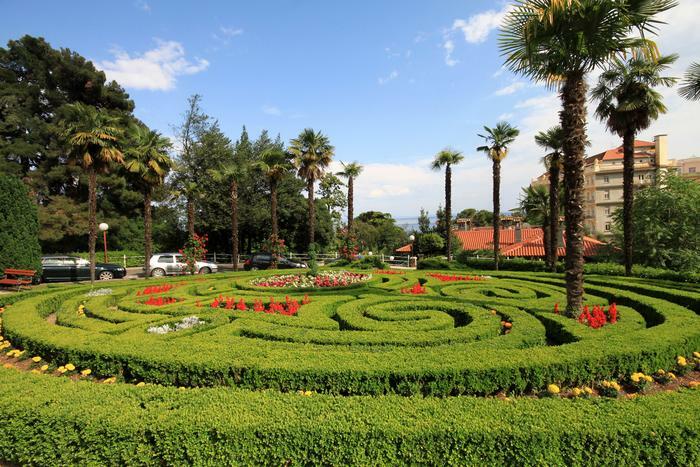 The promenade has been built at the end of 19th century when Opatija started developing as a tourist destination. As you stroll along, beautiful scenery unfolds - marinas, old villas that still give Austro-Hungarian charm to Opatija, restaurants and bars where you can relax enjoying the sea view and soaking up the atmosphere of the promenade. If you take a walk from Opatija to Ičići and then Lovran, be sure to take a beach towel with you as there is at least one cove that will invite you to indulge in swimming, diving and sunbathing.